Gum health is important in maintaining a healthy mouth, and is linked to long-term general health and well-being. Most of us will experience some gum disease every so often. Many of us are unaware of it, apart from perhaps seeing blood when we spit out after brushing. This is a very important sign and one that should not be ignored. What is plaque? Plaque is a carpet of millions of bacteria (germs) constantly growing on our teeth. It exists as a ‘biofilm’ which is resilient and adheres to the tooth surface. Are the bacteria harmful?Early on in plaque formation, the bacteria tend to be friendly ‘commensals’ and are harmless to healthy people. Over the next few weeks, there is a rise in the proportion of disease-causing bacteria called ‘pathogens’. Gum disease is linked to a growing list of medical problems which includes diabetes, cardiovascular disease (heart attacks and stroke), dementia, asthma and pancreatic cancer. In pregnancy there is a link to having premature or under-weight babies. How do I get rid of plaque? Toothbrush bristles (electric or manual, hard or soft – it doesn’t really matter) to clean the surfaces you can feel with your tongue, and by using floss or special ‘inter-dental’ brushes to clean between each of your teeth. What about mouthwash? Mouthwashes may not penetrate plaque biofilm very effectively, so may be used as an adjunct to good mechanical cleaning with brushes. If used immediately after brushing, mouthwash will rinse away the beneficial fluoride so perhaps better to be used at lunchtime instead. Mouthwashes are useful if you are worried about bad breath. Volatile sulphur compounds are the causative compounds of bad breath and there are mouthwashes specifically designed to target these VSCs. How can I tell if I have brushed my teeth properly? We believe strongly that a little education goes a long way in preventing problems later in life. 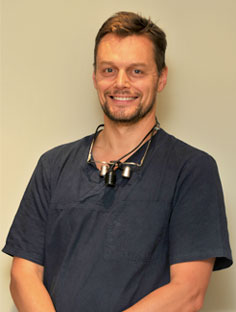 To find out how clean your teeth really are, come and see our hygienist. In the meantime, you can improve gum health yourself. • Firstly, brush your teeth as normal. when you spit, remember to have a look for blood. • Now feel around your teeth with your tongue. Feel the texture – do they feel shiny like glass in places - and coated in others? • Continue to brush paying particular attention to coated areas – keep going until all your teeth feel glassy, even though there may be some bleeding. • The lower back teeth at the root of your tongue. • The upper back corners, way back, beside your cheek. • The front surfaces of your front teeth, top and bottom, right up to the gum margin. Remember, look after your teeth and gums for a healthier lifestyle.